A former spy turned reporter, his life is planned like a game of chess. Every move has an objective – and is played strategically, and with total focus. But in the tranquil paradise of Hawaii, amid the palm trees and sunshine, he is about to play out the greatest game of his life. And the deadliest. A fellow journalist – running the paper’s Hawaii bureau – has disappeared. No one knows why, or where? Rook is determined to find out. He was on the trail of one of the greatest scoops of all time – a story that brings together all the powers competing for control of the Pacific. As he starts to dig, Rook soon finds he is on the run – from intelligence agencies, governments, police forces and from his own past. He will need all his survival skills to outwit them. Because a dead man can rise once. But not twice. 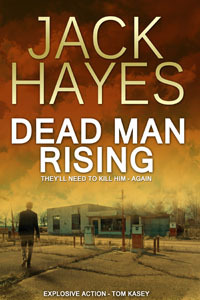 'Dead Man Rising' is an edge-of-the-seat thriller of espionage and power politics that will grip readers of Tom Clancy, Lee Child and Robert Ludlum. - Tom Kasey, best-selling author of 'Trade-Off'. - Robert Foster, best-selling author of 'The Lunar Code'.